You are here: Home > Galaxy Avant and Xperia Z3 to be compatible with T-Mobile’s 700MHz LTE? Galaxy Avant and Xperia Z3 to be compatible with T-Mobile’s 700MHz LTE? 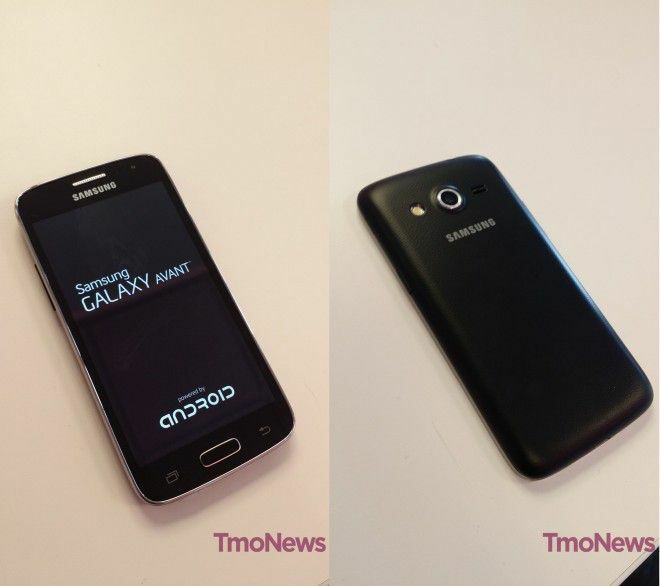 Just before Uncarrier 5.0 was announced, one of our sources got in touch to show us they’d been testing a Galaxy Avant. It seems like an age ago, but it was just last month. One thing the insider didn’t tell us was which bands the Avant was compatible with. 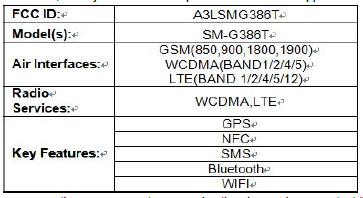 However, the FCC filing for that device (pictured above) reveal that it could be one of the first handsets compatible with the 700MHz band 12 LTE T-Mo acquired from Verizon earlier in the year. As uncovered by Reddit user, danrant, the device with model number SM-G386T is compatible with UMTS bands 850/1700/1900 as well as LTE bands 2,4,5,12. Thus, making it fully T-Mobile friendly. Now, there’s another rumored upcoming device that could be band 12 compatible, and that’s the Xperia Z3. It’s a device that’s cropped up a number of times online recently. An FCC filing reveals some details regarding the next generation of Sony’s flagship smartphones. At least, that’s what most tech pundits online are assuming the filing is. Whatever the device is, it’s compatible with band 12, making it another potential handset for T-Mobile to hook up to its low band spectrum when it goes live at the end of this year. What’s interesting with this Sony filing is the “Test Report Re-Use” which stipulates why Sony has tested the same handset twice under two IDs, and it’s simply that one was band 12 friendly, while the other isn’t (among some other differences). What’s interesting here is that – so far – T-Mobile has been very quiet on any handsets built to support the 700MHz spectrum bought from VZW. And that’s simply because none of them do yet. Some device do support a 700MHz frequency, but in almost every case, it’s band 17 which isn’t the same flavor as T-Mobile’s. Both these devices – whatever they turn out to be – are compatible with band 12. Of course, there’s a chance that neither ends up on T-Mo. But given the fact it is already being tested on T-Mobile, we’re pretty sure that the Galaxy Avant is going to be the first 700MHz LTE T-Mobile phone. We have no idea on a release date for the Z3 yet, but, we’ll keep you updated whenever there’s anything new to share. Sorry I’ll never touch a T-Mobile brand Sony. They ruined that brand with lack of firmware updates for the Sony Xperia Z and Z1s… Still waiting T-Mobile. Got the Z Ultra also and Sony rolled out 4.4.4 two weeks ago. The tmo branded Z, nada. I have to wonder what, exactly, do the carriers need to test (and why it takes so long) before allowing a new OS version to be rolled out on branded phones. I can understand T-Mobile needing to test the WiFi Calling app (which is baked into the OS), but doesn’t all the other bloatware run on top of the OS as normal apps? I hope that Apple won’t allow T-Mobile to hold up updates to the new iOS and revisions (which I understand will include WiFi calling) … that would be a disaster! The true answer is because Android updates historically aren’t an easy thing. There are numerous cases of devices that went months testing out all the bugs with newer versions of android and when they finally got the update they STILL made the phones worse somehow. Whether it be battery life or some other device killing feature. I’ll never touch a carrier-branded phone, full-stop. I’ll pay full price for an unlocked phone that *I* control. I’m interested to find out what the differences between Z2 and Z3 are. Z2’s at the top of my shopping list right now, and I’d probably have bought already — except that Sony are taking their sweet time releasing unlocked phones in the US market, haven’t stated any firm plans for Android L, and now are leaking the Z3 which makes me think I should just wait. As soon as I know what the Z3 is (and whether there’s anything worth waiting for), and as soon as I know for sure that the Z2 will get Android L, I’ll likely bite on that. Well, assuming it actually goes on sale here, anyway. My Sony Xperia Z1s for T-Mobile USA is running on Android 4.4.4 KitKat. It can partially take advantage of wide band, and also depending on which market you live it won’t make much or a difference. For example Houston and a few others are 2X15 which is the max the iPhone can take right now so realistically most people will not get any advantages as is right now. Without a doubt though the next iPhone will get a speed upgrade on the radio side, though hopefully they go beyond cat 4 if possible and allow the phone to bond multiple connections together to even better the experience. I am going to call it now, but TMO will not deploy 700mhz. They will sell it off as part of merger agreements. The money they would spend on deployment can go toward 600mhz and LTE expansion. They don’t have a nationwide block, why would they deploy in a handful of markets? because those markets are highly populated? also, I don’t think they want to wait to deploy much needed low band coverage. Even if they get 600 mhz, that doesn’t mean they can’t change their equipment to also broadcast it. Because they will have good in door signal penetration at least in SOME really major markets THIS year. That’s still a big deal. They didn’t give a few billion to Verizon for nothing. They WILL build this out without a doubt. They will likely buy more 700mhz a block from regional carrier but not sure who owns what and where. My thinking is that T-Mobile will continue their LTE build-out and switch to VoLTE on existing spectrum (because these 2 things have the most synergy with Sprint should a merger occur). However, the FCC needs spectrum concessions if they approve a merger (700mhz is easy to offload along with AWS). T-Mobile will have to go through their own network vision project to deploy on 600 (all new equipment), so doing a first round of 700 in a limited number of markets isn’t financially sensible because they’d have to go back again (see the mess Sprint is going through doing 3-team deployments). We haven’t really heard what plans T-Mobile has with the CCA (or the data hub with Sprint) which could fill in that 700mhz gap. Overall, I think the Sprint merger will stop any 700mhz deployment. I think the powers that be would have had an idea of a possible Sprint combination of T-Mobile before they agreed to spend the billions with Verizon to purchase it. But all to just hopefully divest it back? I don’t think so. It’s more likely if they have to divest spectrum it’s going to be of the 2.5ghz band since the combined entity would have a major surplus of high band spectrum and that stuff is more expensive to build out than the low band. Also the 700mhz is a done deal all passed through regulators and everything. T-Mobile fully controls it. There WILL be devices that support this band in Q4 according to T-Mobile. If they announced a merger with Sprint tomorrow there is no way they will just sit on that spectrum while they await regulatory approval. Major markets like Washington DC and Miami have no channel 51 interference and that means that’s millions of people who could potentially get an indisputable better experience than Verizon with proper hardware. No way I see T-Mobile passing that up merger or not. You forget 700 MHz A-block is right on the cusp of 600 MHz (700-A starts at 698 MHz). The two could be combined more easily than, say, Sprint’s 800 MHz and 600 MHz. I say there’s more reason for T-Mobile to keep the spectrum. T-Mobile can build out a 5+5 network with what they have now and add in 600 MHz more easily when they get it. To improve in building coverage and to also expand to smaller communities in these spectrum blocks which they were unable to reach before be it spectrum restriction or cost purposes. Uh…this comment is 3 months old based on the presumption of a TMO/Sprint merger. At the time TMO made no offers for additional spectrum, did not have any devices available for sale, and didn’t even start deploying. That changed when Softbank ended the bid. Are you an idiot or just don’t know how to read? Eh, Johnsie? Hopefully the iPhone supports 700mhz a block. It’d be nice if the US got the Z3 around the time of its release. Sony makes some fantastic phones, but their strategy for the US is really preventing me from buying their product. The Nexus 6 will support band 12…that is the one to wait for. Just a couple more months. Just get the iPhone 6, Note 4 and Nexus 6 with band 12 and we will all be happy. iPhone 6 has band 12? I dont think so. I thought they were still back in 2010. Wondering why they wont put a dynamic LTE band, like a firmware based antenna that can change to any frequency/band, with input provided by OS.